Guest post by Lauerntiu Rebega, Member of European Parliament for Romania. Laurentiu was on Varney and Co. this week to discuss the future of the EU. On Thursday Laurentiu discusses the future of the EU’s green cage. Let us not forget that the new Parliament and the new Commission will be of a new Europe – a Europe from which, one of its most important states, namely, Britain, has now withdrawn. If we look at the rest of Europe, we see a confused Germany, after Chancellor Merkel’s retreat. We see an Italy that seems determined to ignore Brussels’s advice. We see a France in flames. In the East, the Visegrád Group has more and more centrifugal policies, and the “seven dwarfs” in the North have not yet found Snow White. How will this confused European political configuration for the 2019-2024 mandate be manifest in these circumstances? The first finding is that the socialist and social-democratic parties have collapsed everywhere. Among the big countries, the socialists are truly in power now only in Spain, but the Madrid government is in minority and does not cope well with the social and political challenges it faces. In Romania, the Social Democrats are strongly challenged internally and received severe warnings from Brussels. Countries with stable left-wing governments, Portugal and Slovakia, are too small to influence the outcome of the elections. Unfortunately, traditional center-right parties, part of the EPP at EU level, are on a steep downward trend. In Germany, the CDU-CSU alliance suffered important losses in the Bavarian and Hessian elections, and the prospect of a revival by springtime is practically nill. In France, Macron’s party managed to destroy both the socialists and the republicans. They are in rapid decline with the streets of Paris on fire. Finally, in Spain, the People’s Party failed to recover after losing the government. Taking advantage of the collapse of centrist parties, more extreme parties (both left and right wing) have strengthened almost everywhere in Europe. On the other hand, several parties or movements that drift away from the classical left wing – right wing structure have emerged in almost all countries. We can easily predict that the future Parliament will be much more fragmented than it is now. Moreover, although the EPP will very likely remain the most important, it will not have enough weight for the massive control it has had over the last three mandates. The social-democrat group will lose badly and probably fall to place four or five. The groups that are considered today to be more extreme will gain significantly, but not enough to form a parliamentary majority around them. The conservative party group will be weakened by Britain’s withdrawal, but will also receive reinforcements from many countries where centrist governments have failed. Judging by the facts above, it would appear that the group of parties labeled as populist could end up in a position from which they might decide the balance in one way or another. Yet, there is great potential for a new political force to emerge. In the common market and then in the European Union, decades of prosperity formed a huge middle-class electoral pool. That group constantly voted for centrist parties. The turbulence in recent years that degraded living standards or increased external threats (terrorism and migration), have prompted many voters to move to more extreme options. However, most of the middle class is conformist and inert, and therefore, would rather vote for another center proposal than for parties with radical views. Apparently, those voters lost by socialists and people’s groups may find themselves in the offer of the small, liberal (ALDE) group, but this group has not come up with anything new, and the association with Emmanuel Macron will be even more damaging to them in 2019. I can therefore only be pessimistic. My bet is that the big winners in the spring of 2019 could be the Green parties. Climate threats have become very obvious and participation in demonstrations organized by green NGOs show the power to mobilize around this theme. By contrast, all other centrist parties fail to propose subjects relevant to the current situation. By May 2019, classical parties could try and take on ecological themes, but they will be less than credible. To date, ecologists dominate only in Northern Europe, but a well-run campaign could win massive voters in France and the Central European countries. Ecological policies are limited to preserving or restoring natural ecosystems. But, in terms of solutions for serious human development, the Greens are either naive or totally helpless. They could destroy Europe and market-based capitalism in the process. The general application of green policies would, at least in the short term, block development levers, lower the standard of living and, globally, accentuate the discrepancies between the North and the South. I don’t want to be alarmist but there is now a scenario where the Greens and a Green Cage come to dominate Europe—for the worse. 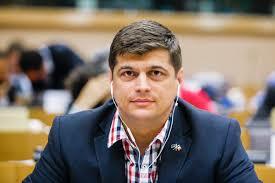 Laurentiu Rebega is a Romanian politician and since 2014, a member of the European Parliament (MEP). Rebega is a full member of the Committee on Agriculture and Rural Development (COMAGRI) and the Committee on Petitions (PETI) and a substitute in the European Parliament. 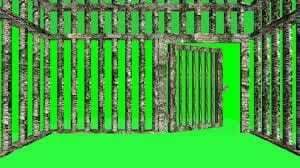 The post Laurentiu Rebega: The EU’s Green Cage appeared first on The Gateway Pundit.